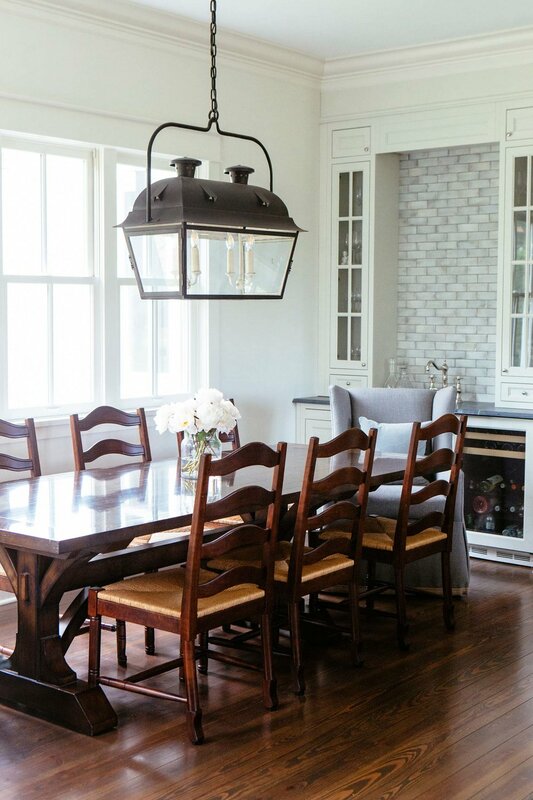 This Indiana farm is a peaceful respite from the city life for this family of four. It was our directive to maintain the integrity of the original farm in our design, while updating the interior spaces. 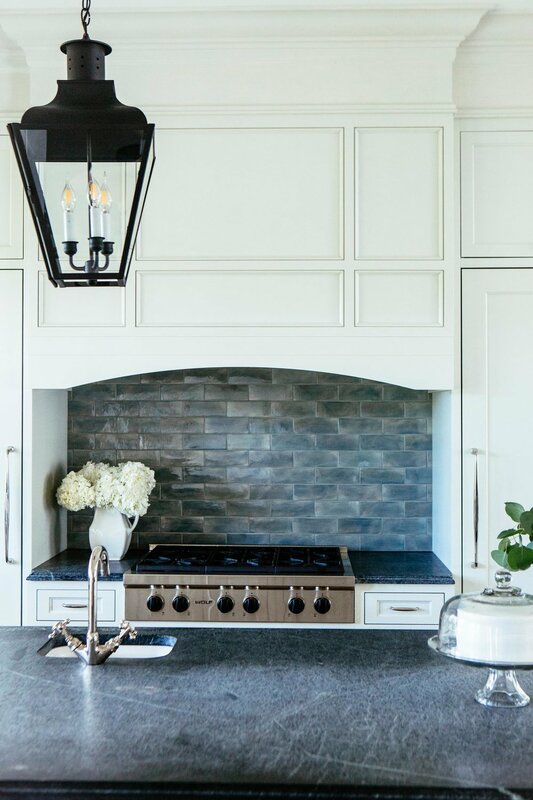 It seemed fitting to incorporate rustic materials such as soapstone countertops and subway tile backsplashes. 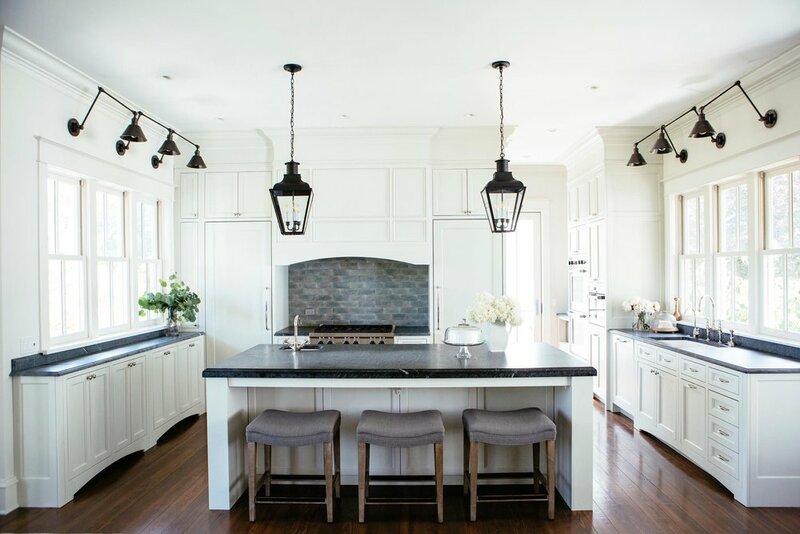 The white kitchen, furnishings and many vintage accessories are in keeping with a classic Americana feel, and a collection of lantern style light fixtures illuminate the space. Our inspiration for the living room was the sweet smell of pine needles and firewood. 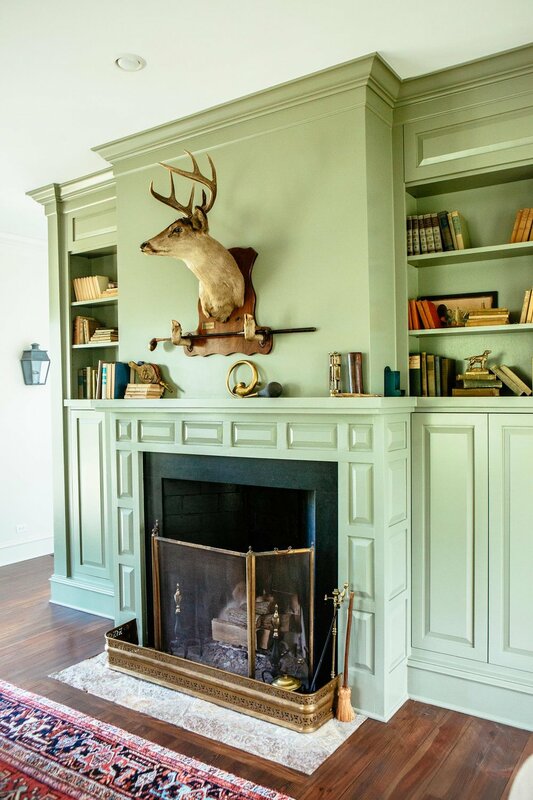 We painted the custom built-in bookshelves around the fireplace a colonial green, and highlighted farm life with a prized deer bust and farm scene oil paintings. We envision the client reading a great American novel while curled up by the fire. The property also boasts two additional guest houses, tennis court, swimming pool, green house and entertainment barn.